The Gem moth is a member of the Geometridae family of moths. In parts of North Africa and Southern Europe it is a common resident species. It migrates in variable numbers to Northern Europe including the British Isles where it is most frequently recorded at light in southern coastal counties. 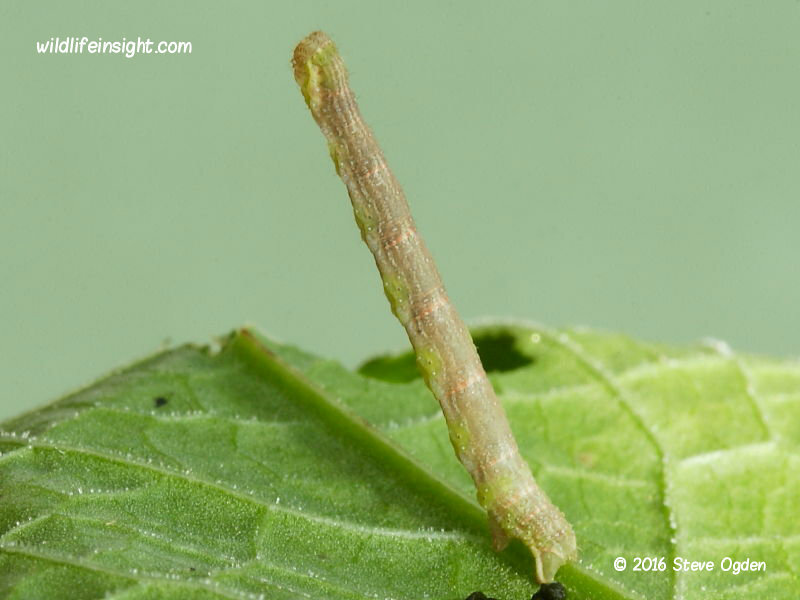 It has a wingspan of up to 30mm and the males and females are dimorphic. 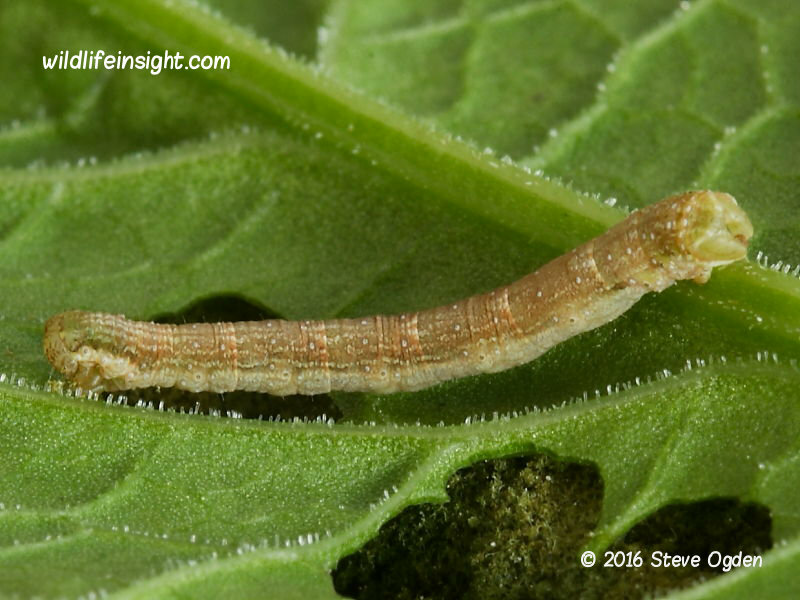 The larvae feed on a wide variety of herbaceous plants. Early migrants to the UK are thought likely to lead to single or even multiple generations during good summers but have yet to be recorded as overwintering. 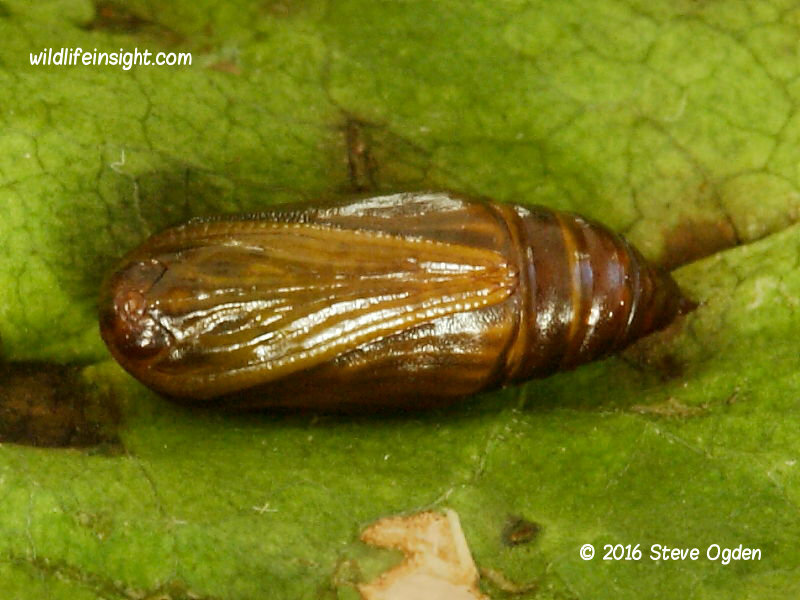 The following account is of a brood reared from eggs obtained from a female Gem attracted to light by John Foster on the Lizard, south Cornwall, in the UK. The eggs were laid on dock on the 8th October and kept inside in temperatures of between of 18-22c. They hatched 7-9 days later. 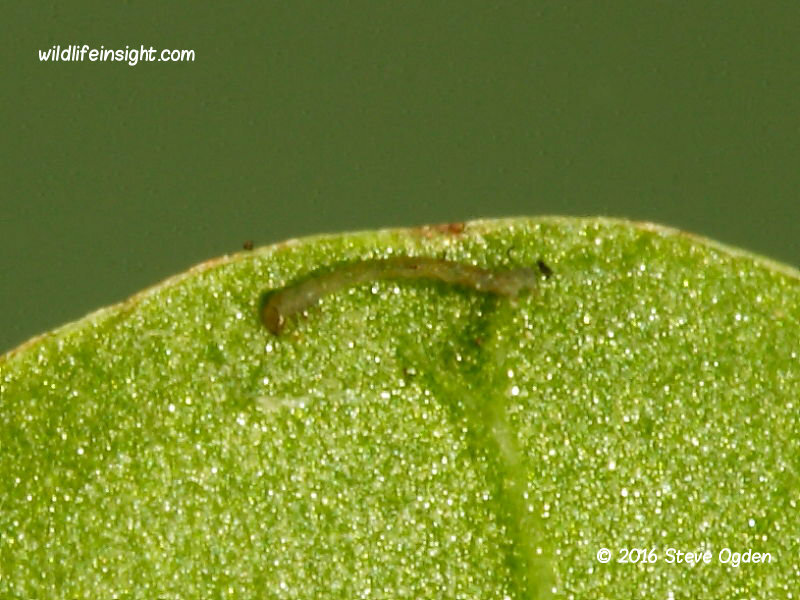 The hatched caterpillars were easily overlooked being barely more than 2mm. 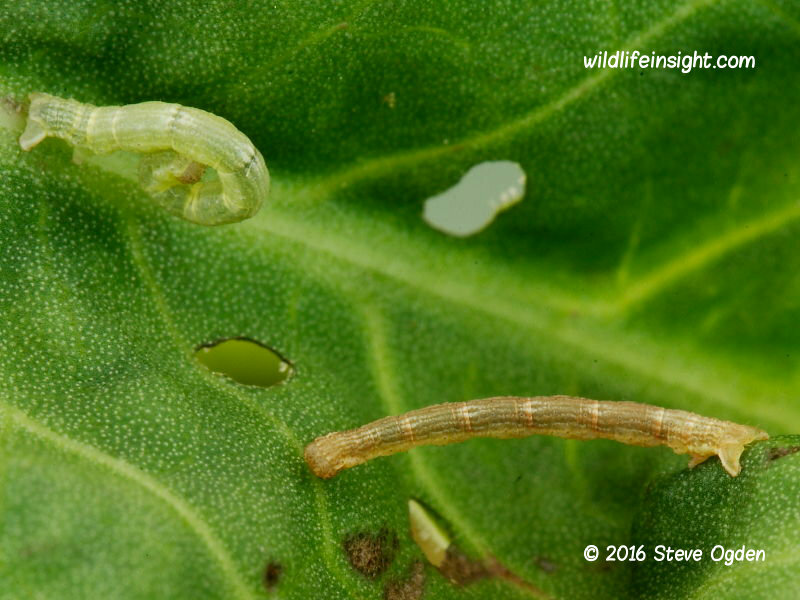 They were fed on dock and were fully grow, 17/20mm, within 21 day when they pupated amongst plant litter and on the bottom of the container. A 100 % success rate was achieved with moths emerging within 10 days. 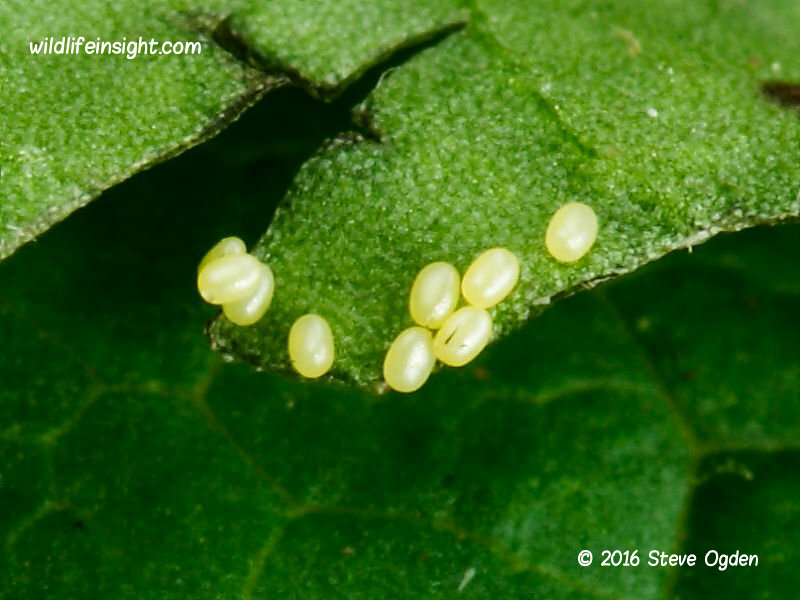 The time between eggs and adult moths emerging was 35 days. 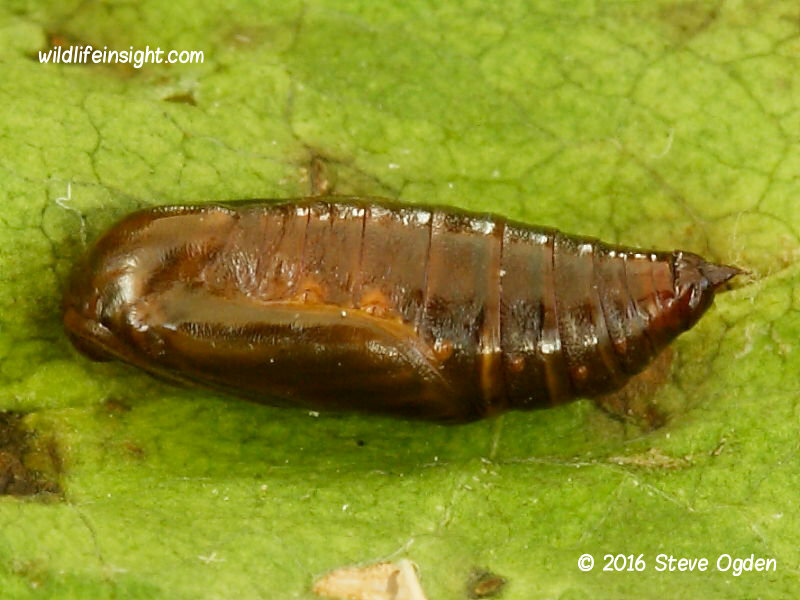 In warmer conditions it seems probable that the period from eggs to adult moth emergence would be less than 30 days. The Gem is very easy to rear. In warm countries it will breed continually throughout the year. No special conditions are required. 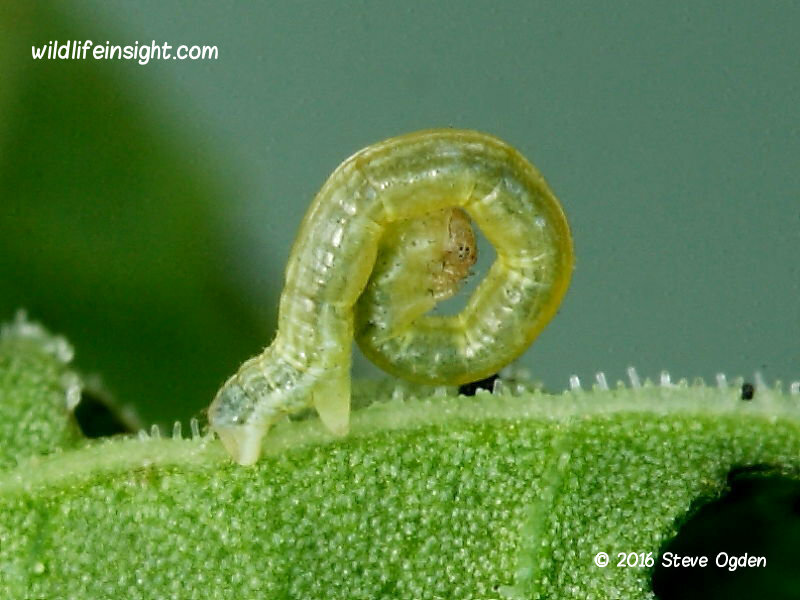 The larvae feed on a wide variety of herbaceous plants and pupate readily even on the bottom of container lacking soil or plant debris. 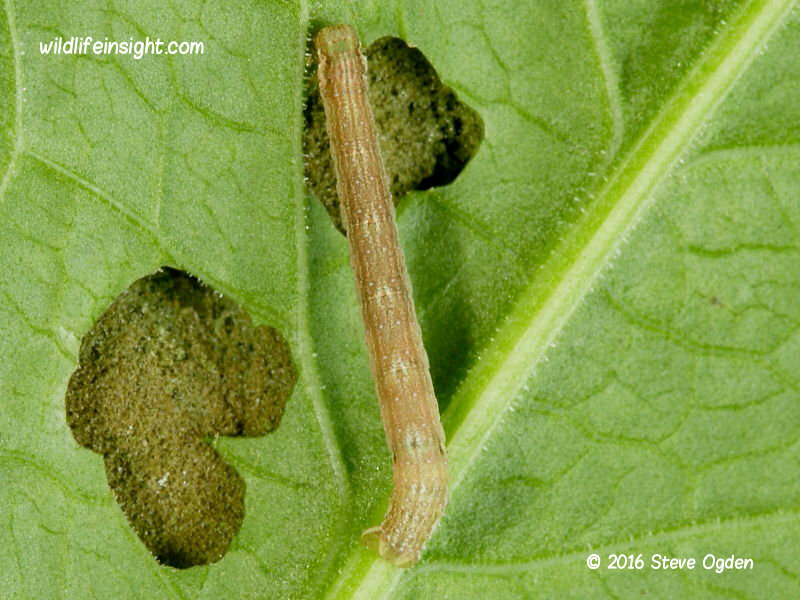 From egg to emerging moth can be less than 28 days in warm conditions.